Xuefei Yang embarks on a tour of China with Italian chamber ensemble I Musici. The first concert is tonight in Wuhan where they present a programme of Vivaldi and Guiliani before continuing on to eight other Chinese cities. 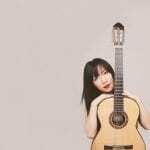 In addition, Xuefei plays solo recitals in Shenzhen and Beijing. The Beijing Concert Hall, where she plays on 19 May is the location of her first ever recital. Later this summer, Fei will attend the Changsha International Guitar Festival where she is Artistic Director.